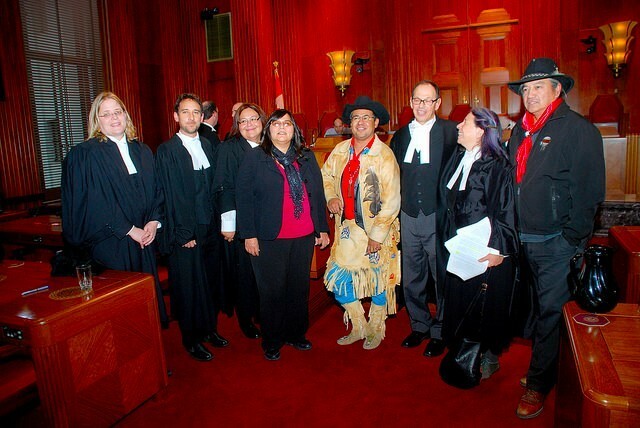 In Tsilhqot’in Nation v. British Columbia, the Supreme Court of Canada recognized Indigenous land title held by the Tsilhqot’in Nation in British Columbia. The Supreme Court of Canada recognized that the understanding of land use must be infused by an awareness of Indigenous cultural practices. The landmark case continues to have implications for Indigenous nations and the provinces. The Tsilhqot’in Nation case exemplifies an instance of interaction and conflict between Indigenous and common law legal systems. The common-law approach to land and property is different from that of Aboriginal tradition. The Aboriginal band in this case is semi-nomadic, which posed problems for our common law court, who see property as needing to be permanently occupied in order to establish title. Aboriginal culture proves a symbiotic relationship with land and nature, as opposed to the common society view that land should be exclusively owned and mastered. The court in this case tries to bridge the gap between these two views, and recognizing Aboriginal principles of land as opposed to requiring the Indigenous nation to provide evidence that it conformed to the common law standard.